English speaking fully licensed tourist guide, transport. A journey with great cultural and scenic interest. Half day shore tour with great cultural, historic and scenic interest. 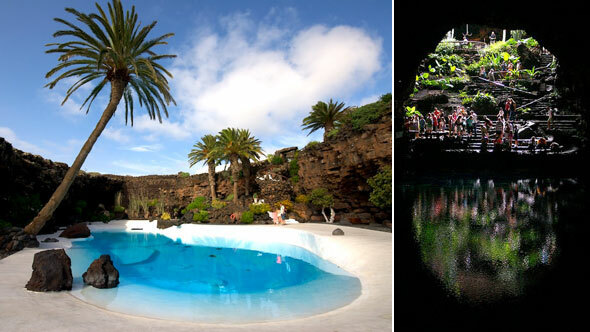 The highlight of our excursion is the visit to Jameos del Agua, the first and most important public space designed by the local artist César Manrique. 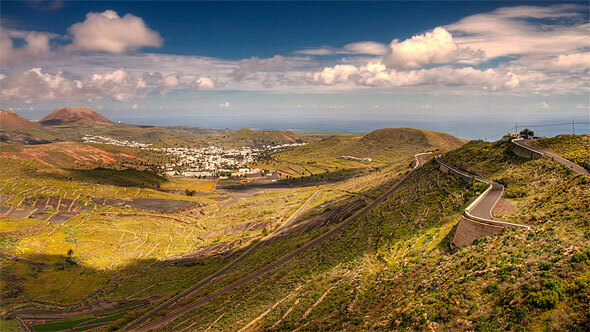 The new aesthetic artistic propossal of Manrique, art/nature – nature/art, has its best example in this undergroung tropical garden located at the interior of an imposing volcanic tunnel shaped by the lavas of La Corona volcano. We pay a visit to another Manrique´s work: Mirador del Rio. 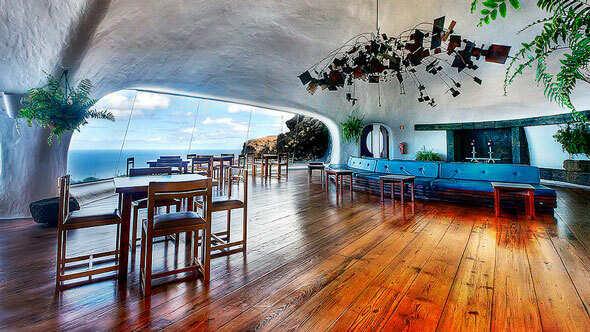 This former gun emplacement was reconverted by Cesar Manrique into Lanzarote´s most famous viewpoint. 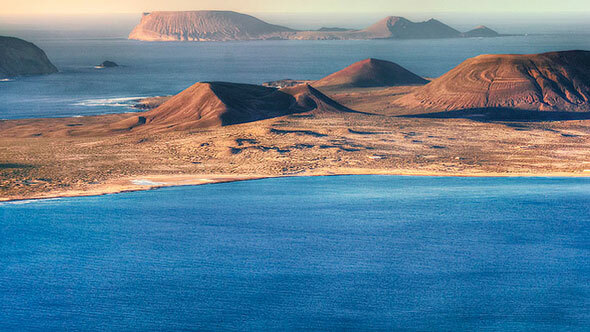 The construction is perfectly integrated on the surronding area and is located at 482 meters above sea level from where we enjoy breathtaking views of Famara Cliffs and the Archipelago Chinijo, the largest Marine Reserve in Europe. 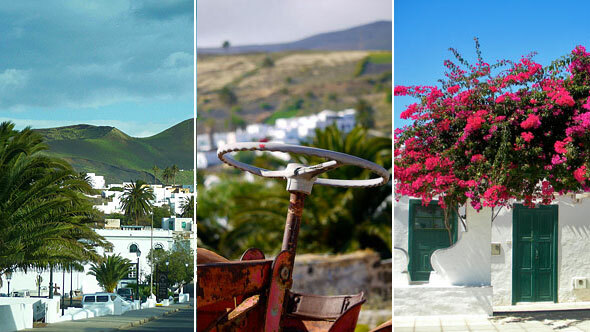 During our journey we drive through the village of Haria, a charming village surronded by lush green fields and colorful meadows located at the One Thousand Palm Tree Valley and we will also visit the old capital of Lanzarote: Villa de Teguise, one of the oldest european settlements in the Canary Islands. 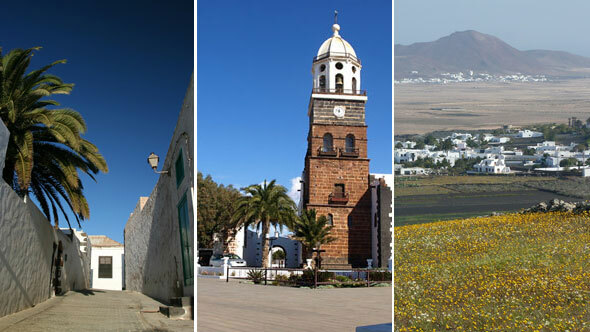 In our stroll around the cobbled streets you will hear about the history of Lanzarote, when Landlords and Pirates were the protagonists.